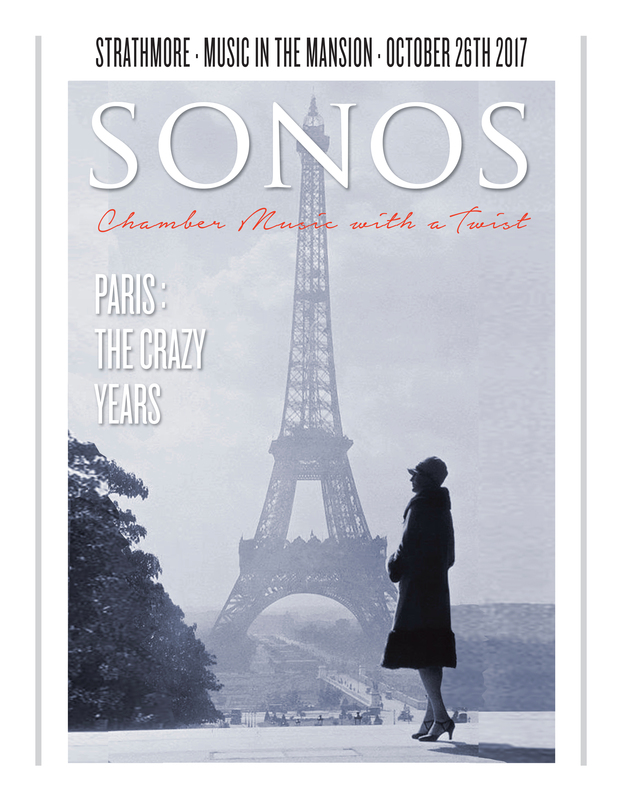 SONOS is Chamber Music with a Twist. 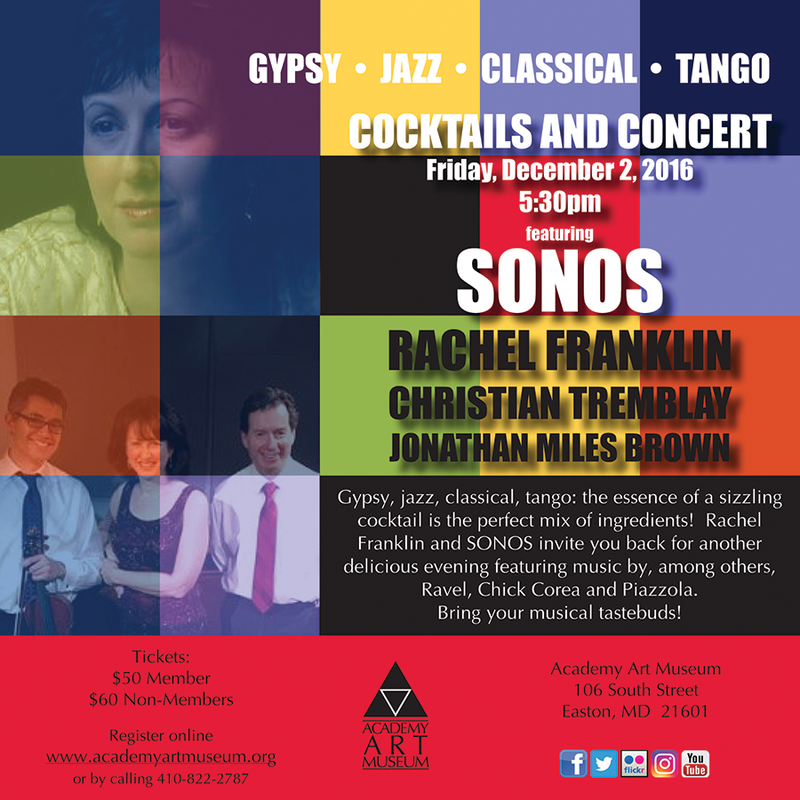 Led by acclaimed pianist Rachel Franklin and featuring the consummate talents of violinist Christian Tremblay and fretless bass player Jonathan Miles Brown, SONOS is a unique classical and jazz ensemble that blurs the edges between classic chamber works and jazz improvisation. SONOS invites you to explore the fascinating connections between such composers as Gershwin and Ravel, and improvisers like Monk and Mingus, all complemented with witty commentary and compelling story-telling. A sizzling program to commemorate the momentous centenary year of America’s entry into the First World War, and the extraordinary post-1917 period in Paris known as the Crazy Years, les Années Folles. 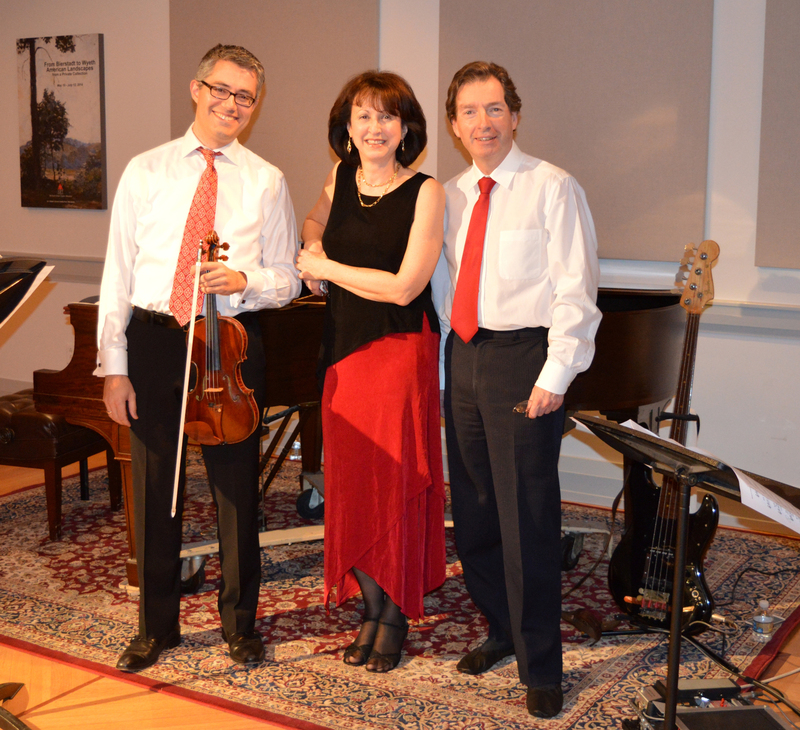 SONOS recently performed this program to great acclaim for Strathmore Hall’s prestigious Music in the Mansion series. Please click on APPEARANCES for our upcoming concerts. Gypsy, jazz, classical, tango: the essence of a delicious cocktail is the perfect mix of ingredients! SONOS invites you to experience a sensuous and vibrantly-flavored melange of music by such composers as Ravel, Chick Corea and Piazzola. Bring your musical tastebuds! 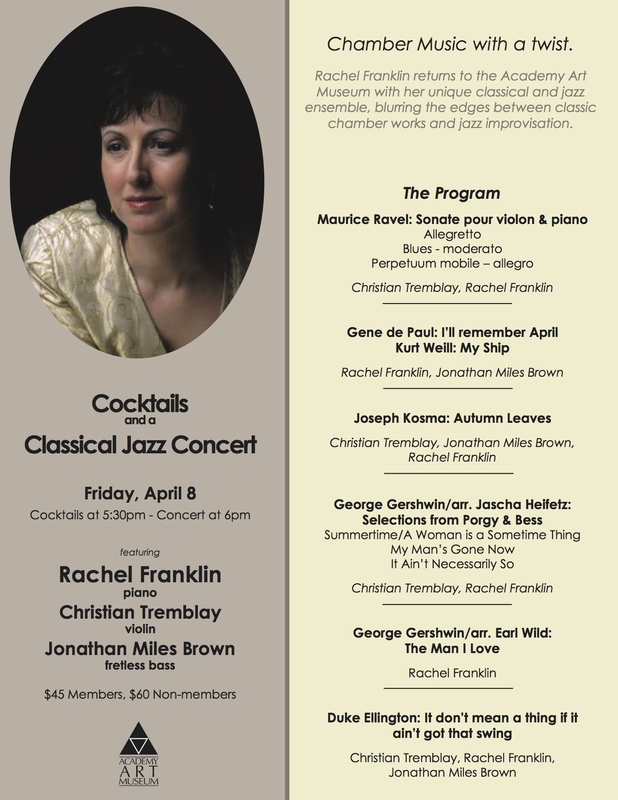 Rachel Franklin’s unique classical and jazz ensemble blurs the edges between classic chamber works and jazz improv with works by Gershwin, Kurt Weill, Duke Ellington and more.